tomato puree (water, tomato paste), diced tomatoes, tomato juice, contains 2% or less of: sugar, romano cheese made from cow's milk (cultured milk, salt, enzymes), salt, olive oil, parmesan cheese (milk, cheese cultures, salt, enzymes), dehydrated onion, dehydrated garlic, spice, citric acid, calcium chloride, lactic acid, butter (cream, salt), sodium phosphate. 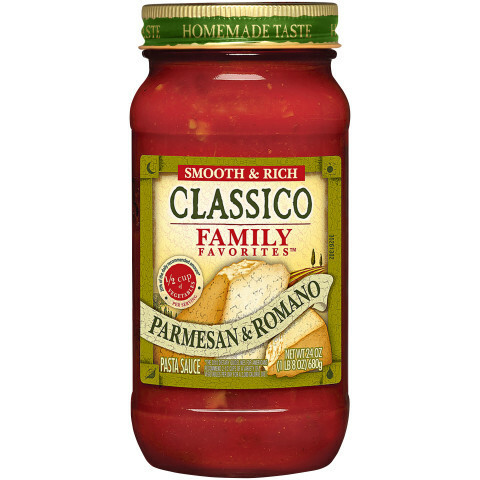 Now everyone can enjoy the rich flavors of Parmesan & Romano cheeses blended perfectly together. 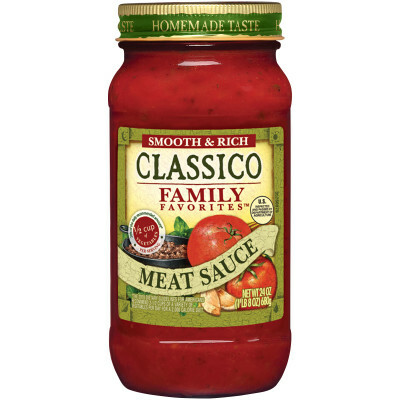 Family time just got better with this Parmesan & Romano Family Favorites sauce. No offense but you would never think Classic could pull something like this off. 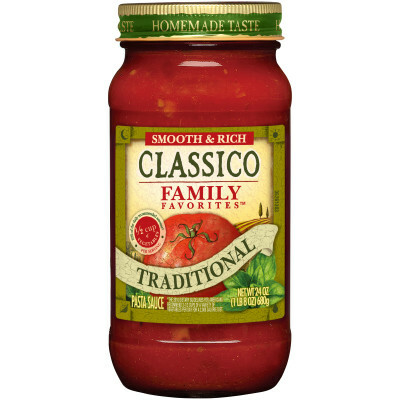 This is the best red sauce you can get out of a jar without question. It's perfect for those quick pasta nights when you don't feel like making sauce from scratch. Pairs well with any style pasta and meat if you choose to add it. I never add anything else. Its delicious, balanced and smooth and rich like the jar says. I hope Classic of knows they're on to something with this one. I also hope it's never discontinued. Only wish I could buy it by the case. Great job. I'm a single guy and I don't know how to cook. So pasta is on my dinner plate quite a lot. I tried about 20 different sauces to find one I could eat more than 3x a week. And when I tried this for the first time, it was game over.